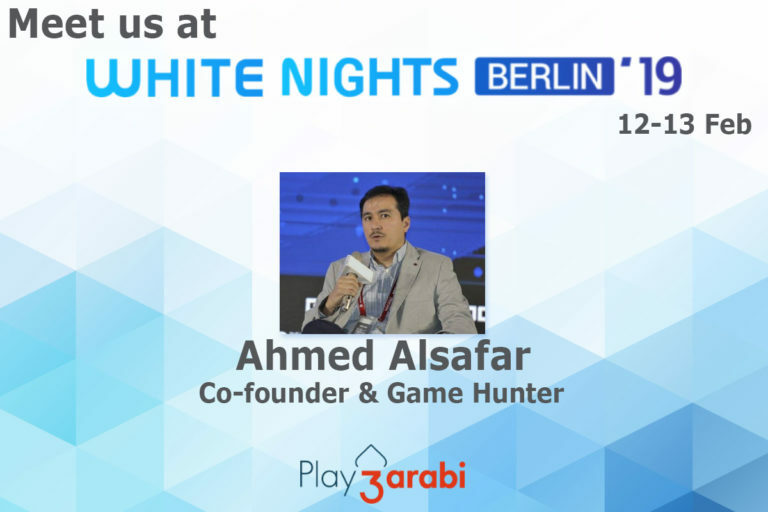 If you’re in Berlin for White Nights, make sure to check our Games Hunter/Co-founder Ahmed Alsafar #gaming #whitenights2019. The global market is witnessing a huge amount of growth in the Arab region. This presents a great opportunity to penetrate an untapped market for developers and publishers. So if you’re intrigued be sure to meet our Games Hunter, Ahmed from Play 3arabi; game publisher focused on identifying, releasing, and marketing suitable social mobile games in the Middle East and North Africa region.